The Lite version makes the PUBG game compatible with PCs and laptops that are running older Windows version and come with lower-end processors and graphics. A beta version is now live but currently works only in Thailand. PUBG Corp. announced the test this week, saying that PUBG Lite is essentially for “players in areas where the core game’s required specifications are more difficult to achieve due to the hardware available.” There hasn't been an official mention yet, but this statement could suggest that it won't be long before PUBG Lite for PC makes its way to India. Most of the gamers like to play pc version. but to play this game your computer configuration should be good that’s why pubg lite version has been launched. so follow my tutorial to install and play pubg pc lite on the computer for free. Pubg one of the most addictive multiplayer games. CPU: Intel Core i3 2.4GHz CPU. Storage: 6 GB of free storage. CPU: Intel Core i5 CPU 2.8GHz. As per Steam, the original PC version of PUBG requires double the RAM (8 GB minimum/16 GB recommended), an Nvidia GeForce GTX 960 2 GB or AMD Radeon R7 370 2 GB (minimum); GeForce GTX 1060 3 GB or Radeon RX 580 4 GB recommended, and 30 GB of hard drive space. First Open Google Chrome browser in pc. 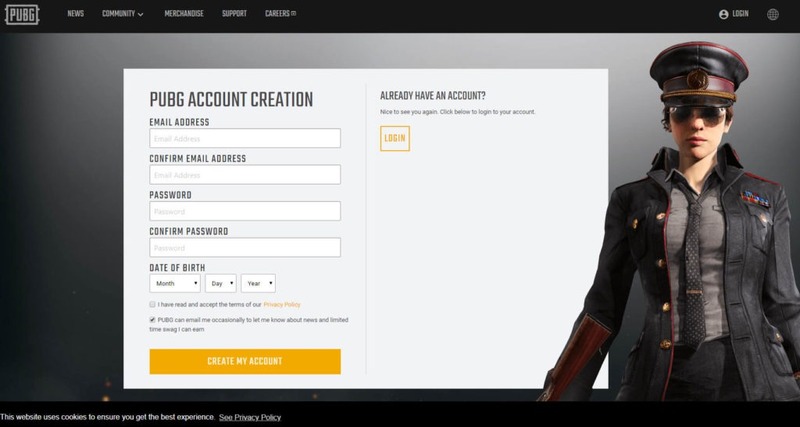 Now Create a PUBG ACCOUNT using Email id and Date of birth. Then open email inbox and confirm the account. after downloading Pubg pc lite setup file then install the PUBG lite launcher setup file. Download and install any best VPN. when installation gets complete open it. now select the Thailand server and then click connect button.